Water is never the only thing that goes down your drains; hair, grease, oils, food, sediments, and other gunk go hand in hand with residential and commercial sewer lines. While there are ways to trap excessive debris, a small amount will always find its way into building’s pipes. Clogged drains are perhaps one of the most common plumbing issues the Brothers team is called upon to fix; in many cases, all it takes is a bit of elbow grease and technical skill to free the blockage. However, when the buildup has been going on for many months or years and the home or business owner has failed to stop its progression, severe clogs may occur. These atypical stoppages can sometimes be solidified to the point where professional intervention is the only sound solution. Instead of jamming a coat hanger or pouring caustic chemicals down the drain in an attempt to remove the clog, phone the experts at Brothers. In addition to using commercial-grade, mechanical augers to chew away drain debris, we have another tried and true tool in our clog clearing arsenal. 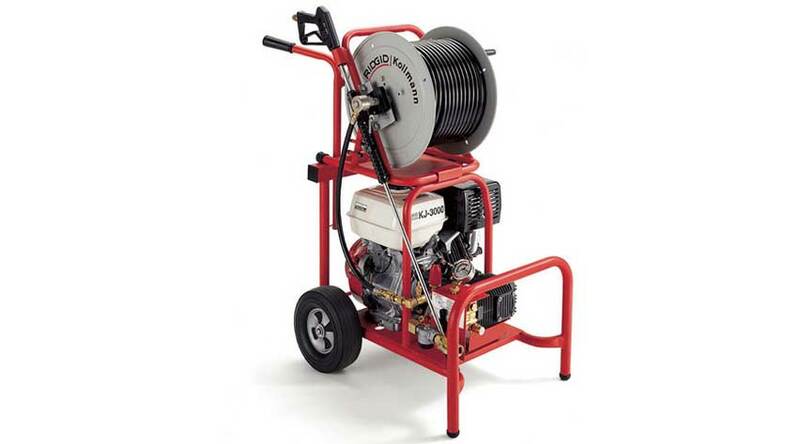 Power flushing, also known as hydro jetting, involves spraying highly pressurized water through your drains and sewer lines to blast away dirt and debris. The machines are often mounted directly to the work truck, and are calibrated for precision pressure. Available in a wide range of pressure settings and nozzles, the power flushers used by Brothers are top of the line. Whereas snaking is helpful for breaking down stubborn buildup, hydro jetting takes cleaning to a whole other level. With the capability to propel water upwards of 3,000 + PSI, there is literally no clog that power flushing cannot get rid of. HydroScrub is here to help! In light of our reputation as one of Toronto’s premiere plumbing contractors, it is no surprise that Brothers utilizes state of the art power flushing technology to thoroughly clean its customers’ drains. HydroScrub is the go-to brand of choice by top GTA plumbers, and one our team has grown quite accustomed to using over the years. Starting downstream, our crew will choose the best pressure/nozzle combination for your drain debris blasting needs; due to its high rate of pressure and speed, the water is fed through the length of the pipe automatically, where it eventually exits the cleanout, a section we use to access and remove the gunk. Brothers has the tools needed to flush and scrub any type and size of drain, and we do so quicker than most competing plumbing companies in the area. If your drains are flowing slowly or not at all, do not hesitate to contact our professional team today!